The Baton Rouge designer has found success after "Project Runway." 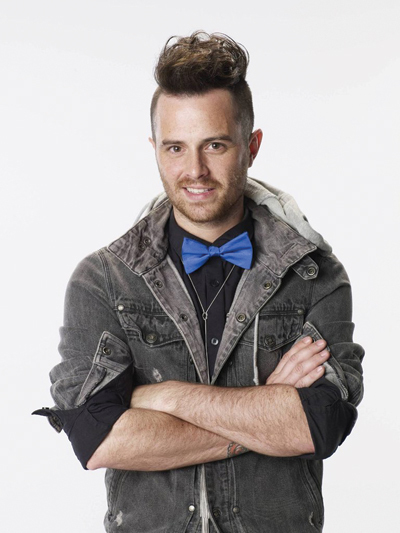 Designer Anthony Ryan Auld derives a great simple pleasure from winning Season 2 of “Project Runway: All Stars”: sleeping till noon. But even though he sets his own schedule, his newfound fame has kept him busy. He’s juggling a constant barrage of emails, showing at fashion weeks, working on a Nine West handbag collection (which will debut next fall) and traveling often. Auld, who calls Baton Rouge home, didn’t begin his career path as a designer. The 30-year-old started out as a graphic design major at LSU, but after a year and a half of college coursework, he grew tired of sitting at a computer. But he had to learn to sew, which Auld says took lots of practice. “I sewed a quilt with my grandmother when I was like, 8, but that’s the only time I sat at a sewing machine.” Six years after starting LSU’s apparel design program, he’s clearly got his fundamentals down. Auld started watching Lifetime’s "Project Runway" in its third season, he says. Friends asked him if he’d ever thought about trying out for the show, and before long, a casting call appeared in his email. “I said, ‘Let me give it a shot,’” Auld says. “I sent in everything that was necessary, 60 pages of application, all these photos, and they called me to do a private casting in Dallas.” Auld was out of college, working at the Buckle again, struggling to find a job in design, when he got the call. Would he like to be a contestant on Season 9 of “Project Runway”? Auld, who is colorblind, surprised judges with graphic prints and bright colors. He finished seventh that season and says he was shocked to get the call to join “All Stars.” This time, Auld had experience and knew how to strategize. Among his “Project Runway: All Stars” winnings was a $150,000 check and a sewing and embroidery studio sponsored by Brother International. Auld has been tinkering with the Entrepreneur Pro machine, which digitizes Auld’s sketches and embroiders them onto a garment. “From a distance it looks like a great print or even a cool screen. But when you get up close it has that great texture and that great hand, and honestly, it looks more expensive than just screening or actually printing a print,” Auld says. And maybe part of that dream involves more television time.